[Kevin Mellott’s] take on the VFX1 was to update it so it can be used with modern computers requiring just a USB socket and VGA feed. The VFX1 is a Virtual Reality Headset that hit the market in the first half of the 90’s. The headset was the first of its kind to hit the home market and was ahead of its time. The VFX1 was developed and marketed by Forte Technologies, who’s assets where purchased in 1997 by Vuzix who now produce modern day Video glasses with optional tracking system. What [Kevin] has achieved is nothing more than remarkable. The original system required a massive ISA card and a link from this card to the Feature Connector on the display card. [Kevin] did away with the ISA card and FCON replacing it with what he calls the LinkBox. 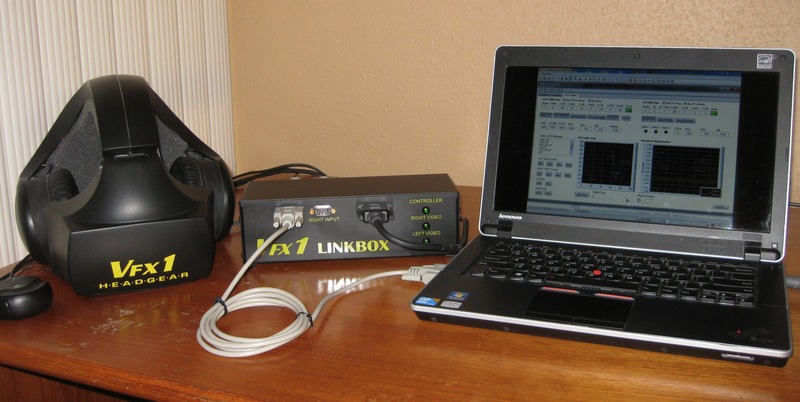 This LinkBox has serial or USB out and accepts stereo/mono VGA input or RGB. The system can now be used with modern day computers including laptops. Those into VR should really check this out.